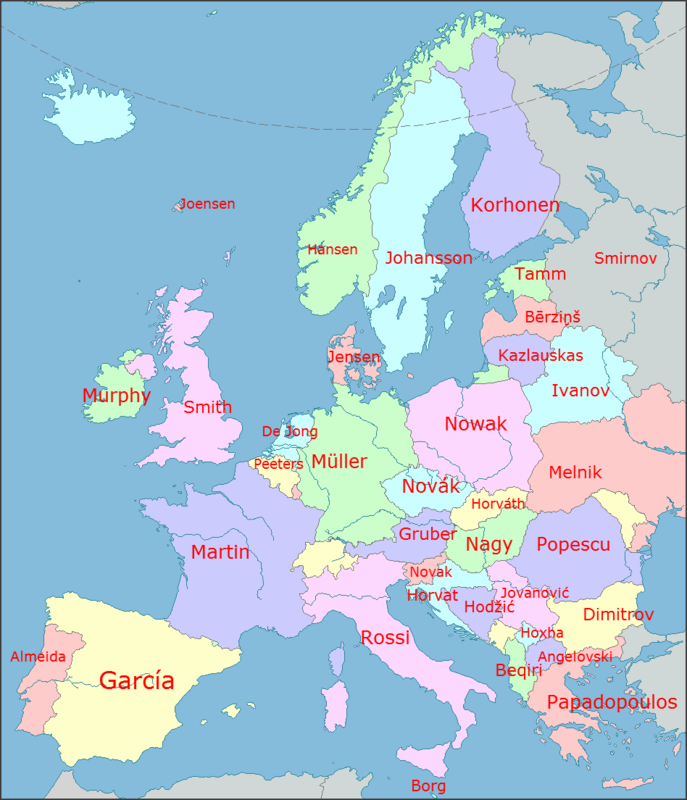 The most common surnames by European nation, are surprising. This week’s map does not the whole story tell, however. For one thing, I find it fascinating that in Iceland they retain the ancient custom of a last name simply denoting who one’s father is (or mother in some cases.) Where having the English name Johnson once meant you were the son of someone named John, in Iceland a last name of Jónsson literally means your father’s first name is Jón. While everyone with last names starting with O’ or Mc or Mac, or with any number of endings, retain the vestiges of this custom, in Iceland it holds fast as the way things are done. If your name is Baldur Jónsson, and you are an Icelander, and you name your son Árni, he is not Árni Jónsson, he is Árni Baldursson. If he decides to junior his own name, your grandson isn’t Árni Baldursson, he is Árni Árnasson. His sister Ása is Ása Árnadóttir. But when it comes to places that do use modern surnames, there are many of them with multiple spellings. As laid down in an interesting forum discussion on Reddit, prompted by the posting of this map, someone suggests that the most common name in Germany would be Schmidt, if one considers all the various spellings such as Schmitt, Schmitz, or Schmid. And that this may have disqualified many other common names with divergent spellings. In response, someone quipped that the only reason Smith won in Scotland was because McGlauchmluchantire is sometimes spelled McGlauchmluchantyre. And that reminds me of my dear college chum Diane Muldrow, who has at times been affectionately referred to by more than one of her friends as Diane McMacO’Muldrowskisteina. 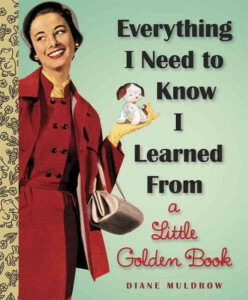 As it happens, Diane’s latest book, Everything I Need To Know I Learned From a Little Golden Book reached Number One on the independent bookstore Best Seller List last week.